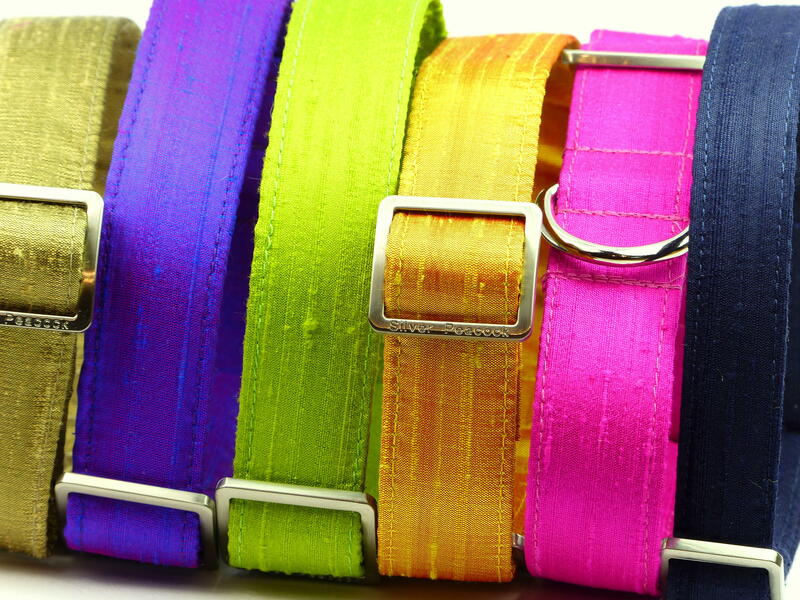 Our Thai silk collars have been super popular so we've sources some more stunning fabrics for you! This bold design has stripes of purple, red, bottle green and gold. Simple but striking. . Definitely glitzy enough for and special event or party! 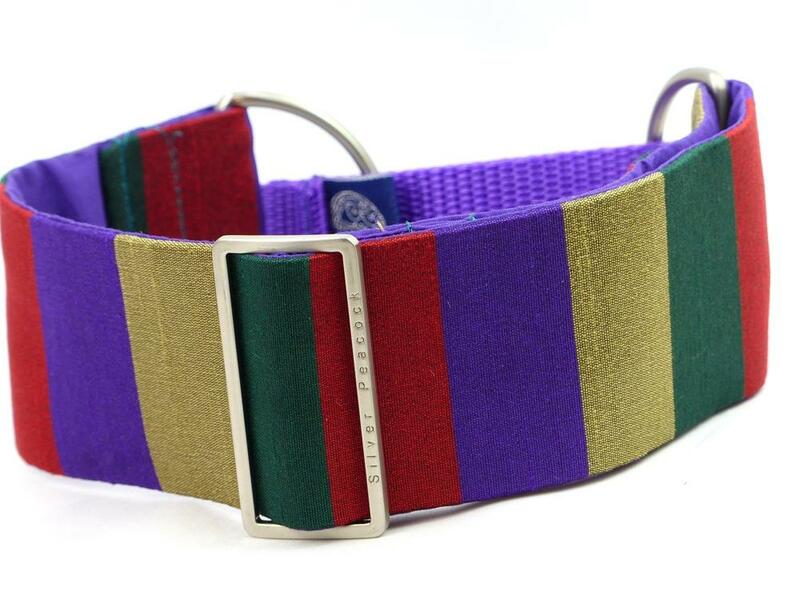 The collar is lined in co-ordinating purple coloured fabric and is finished with robust silver coloured hardware.